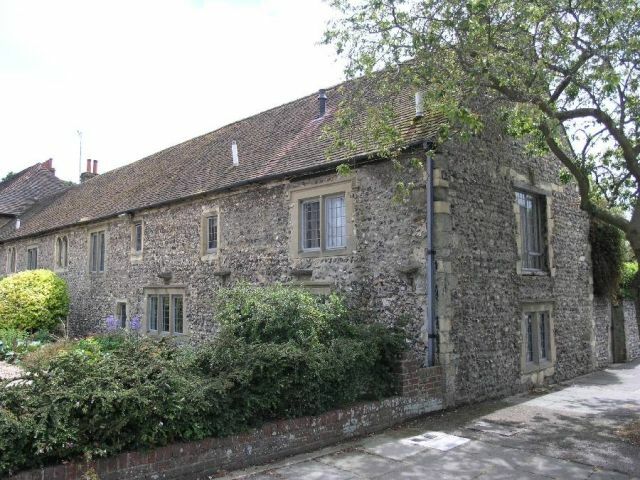 The new Hangleton Manor – that is, the current extended 1540s building – was part of a working farm until 1930, several years after a major refurbishment had taken place. Just thirty years later, it sat derelict with not a single pane of glass intact. The vandals didn’t appear to be interested in its Grade II Listed status. Today, the site consists principally of the Hangleton Manor (the pub), an adjoining building to the west once known as Hangleton Barn, Rookery Cottage to the north, the dovecote, a modern stone bungalow and thirteen houses that were added during the 1960s. The barn has served variously as a pigsty, stable and blacksmith’s but now goes by the name of ‘The Old Manor House’, presumably because it is thought to be the oldest section. Old photographs show a corrugated iron roof, ivy and different window configurations. There was also wet rot, dry rot and deathwatch beetle. George and Jane Hollis-Dennis purchased the barn in 1972 and commenced a great restoration project. As the co-founder of Dennis & Robinson, a large and successful local joinery, George was just the man for the job. The ground floor of this flint structure essentially consists of three rooms – a snug living room, a reasonably-sized kitchen and a huge open drawing room with massive oak beams on display. Some of the beams have been hollowed out so that steel could be inserted to strengthen the structure without comprising the building’s aesthetic integrity. 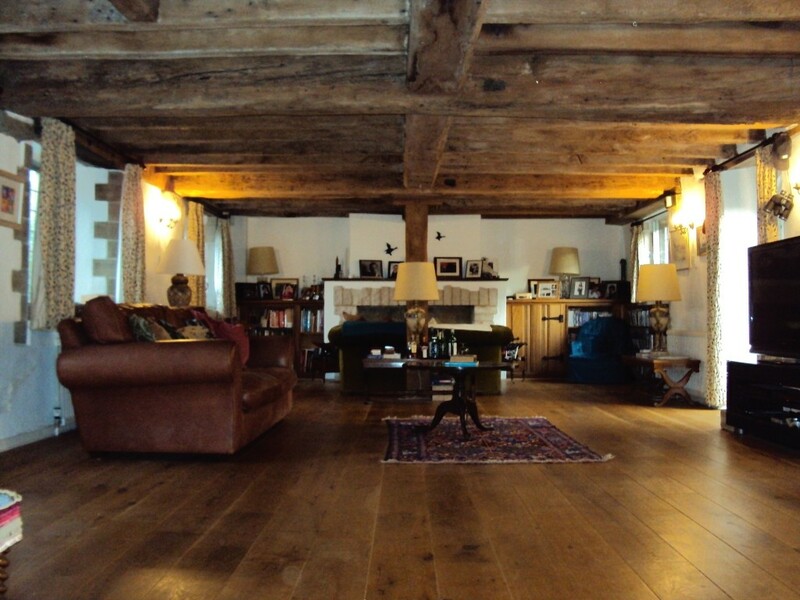 Five bedrooms grace the first floor and oak beams again steal the show. The master suite’s pair of classical doors with shell motifs are certainly worth a mention as are the attractive Australian walnut doors to the other bedrooms. Above is a series of attic spaces with a number of openings scattered around various nooks and crannies. A separate garage block was sympathetically built during the restoration which, from the outside, looks as old as the main buildings. Exposed concrete blocks within give away its true age. Two of its three up-and-over doors lead into a large space for cars with a sizeable inspection pit. The other door leads into an amazing workshop containing all manner of traditional woodwork tools. Several stacks of cassette tapes reveal tastes from an entirely different era. This immensely important home is currently for sale for £735,000 with King & Chasemore. I don’t know though if that includes the Billy Ocean cassettes.